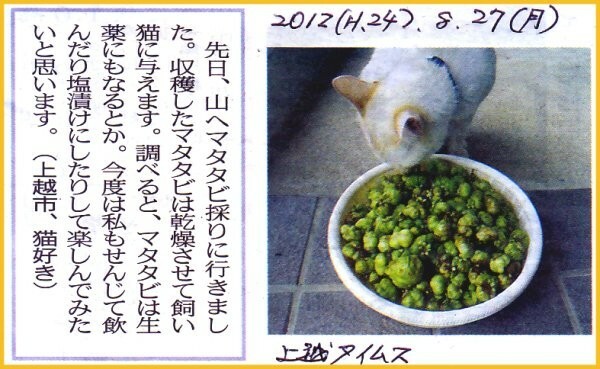 Yoshy found the article about “a silver-vine” on Joetsu Times on Monday, August 27th. “The silver-vine” is introduced in “English Drama: Belling the Cat” performed by LL students of LL Shihoya Arai School. Let Yoshy translate this article into English as follows.. I went to a mountain to pick silver-vines the other day. I usually dry up these picked silver-vines giving them to my pet cat. Checking up on a silver-vine, they say a silver-vine is a nature remedy. 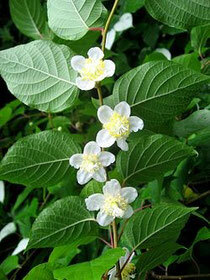 Next time, I’d like to make a decoction of it to take or pickle it with salt.